The key to a successful and long-lasting dental implant is the quality and quantity of jaw bone to which the implant will be attached. 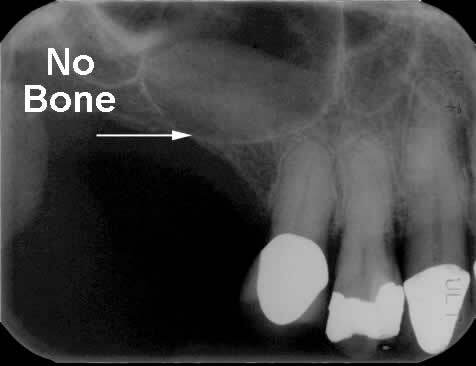 If bone loss has occurred due to injury or periodontal disease, a sinus augmentation can raise the sinus floor and allow for new bone formation. In the most common sinus augmentation procedure, a small opening is made into the bone. The membrane lining the sinus is gently raised. The underlying space is filled with bone grafting material that is purchased and not your own bone. After the bone is implanted, the healing process begins. After a few months of healing, your body will replace most of the bone graft with your own bone. The bone that your body makes is the bone that will stabilized the implant. In some situations, sinus augmentations and implant placement can sometimes be performed as a single procedure. The sinus graft makes it possible for many people to have dental implants avoiding loose dentures. The maxillary sinus is a natural hollow structure within the bone of the upper face. The actual function of the maxillary sinus is unknown. The maxillary sinus is relatively small in size in the newborn and continues to expand until a person reaches 25 years of age. In many cases the maxillary sinus will expand around the roots of the upper premolars and molars. When the upper premolars and molars are lost, sometimes there is not enough bone height below the sinus to place a dental implant. A sinus graft or sinus lift procedure is performed to “lift” or move the sinus membrane higher. 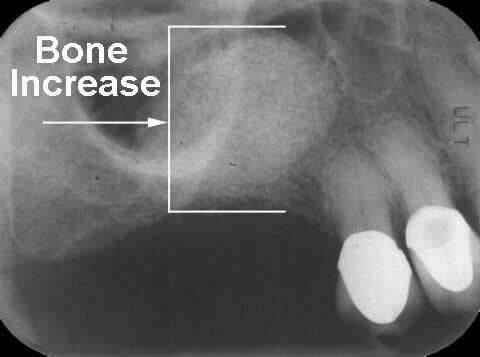 This allows for your own bone to grow below the membrane increasing bone height for dental implant placement.